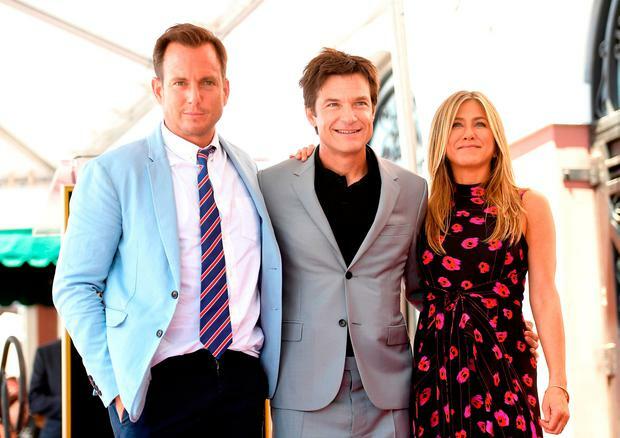 It may have been Jason Bateman's big day, but all eyes were on Jennifer Aniston and husband Justin Theroux. 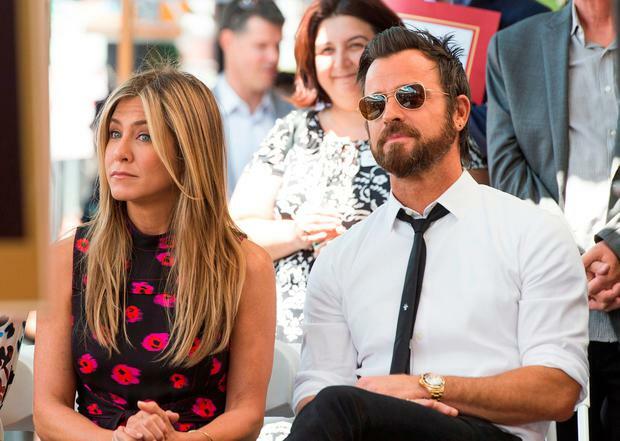 The Friends star (48) and The Leftovers actor (45) attempted a low-key entrance to Bateman's Hollywood Walk of Fame Ceremony on Wednesday in order to support their pal and Aniston's Horrible Bosses co-star during the event. While Aniston rarely wears print and seems to be singlehandedly championing the LBD, she injected some colour into her high neck floral dress with posie pattern; Theroux was in his usual white shirt, black skinny tie combination. The couple, who wed in 2015, sat front row as Bateman was honoured with the accolade, before Aniston paid tribute to his long-lasting career. "One thing has proven itself to be true and that is that having longevity in this business in not easy, especially starting off as a child actor. Usually that’s a story that doesn’t always end well. And, when I actually met Jason it was kind of looking like it could go either way," she joked. He’s a fantastic partner in crime, the most generous man that makes the world laugh and cry on a dime."